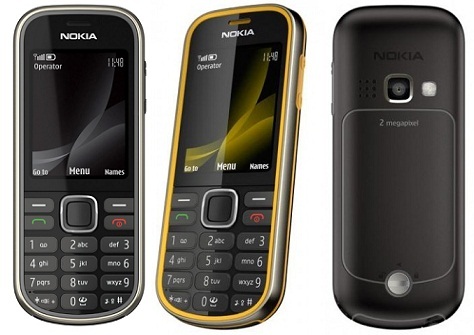 The 3720 has the classic Nokia candybar styling in a touch ruggedized shell. The S40 user interface is familiar and simple to learn and use – although we’re confused by the lack of a dedicated camera key. There’s not much in terms of features: a flashlight, a two-megapixel camera and EDGE data speeds. But this phone is built for robustness, and is shock, water and dust resistant. The camera isn’t great, and internet is slow to load and to browse. An impressive 420 minutes’ talktime is just the thing for a phone designed for outdoor pursuits. Despite producing high-end smartphones stuffed full of gadgets and features, Nokia is still best known for its simple, reliable, user-friendly handsets. The Nokia 3720 Classic is one such phone: a ruggedized candybar with a basic feature set that’s built to be tough and easy to use. You can certainly tell this is a Nokia from its classic shape and simple, minimalist design. The fascia is equally divided between the standard 3x4 keypad and the 2.2-inch screen, and the corners are slightly curved, making it fit comfortably in the hand. The keys are large enough to ensure accurate typing. It’s ruggedized, but not to the extent of truly touch phones like those from Sonim. But it’s not created to survive being run over by a bus or nuked in the microwave, more to withstand life’s knocks and bumps. It’s dust and water resistant and more than capable of coming out in one piece from a fall to the pavement, for example, despite weighing only 94g. The back battery cover is fastened on with a single screw and sealed securely to protect against water ingress. There is also a seal on the microUSB port and the 2.5mm (not 3.5mm, unfortunately) headset port. So we’re unsure why the same isn’t true of the charging port – surely that should be protected as well? To protect the display, there is a raised metallic trim around the fascia; turn the handset upside down and the screen is raised a few millimetres above the surface, protecting it from scratches. Oddly, though, the camera lens has no such protection. A couple of handy shortcuts serve to make life easier. For example, if you hold down the ‘0’ key you are taken straight to the internet. Web surfing is a slow process. There’s no 3G for a start, images are pixellated, and scrolling using the cursor is jerky – and necessary because of the size of the screen. There’s no shortcut to take you to the two-megapixel camera; you need to go through the main menu and hold down the asterisk key. This switches on a bright flashlight that’s also an LED flash for the camera, and is another handy touch for an outdoor phone. The camera is passable – pictures appear drained of colour and fragmented - but there are several adjustable settings to improve your snaps before sharing them on Nokia Ovi. The Nokia 3720 is far from being a classic handset, despite its design and simplicity. But for a basic phone that will withstand life’s knocks and bumps it does the job well, and should appeal to labourers, outdoor types or those of us who find ourselves dropping our handsets far too often.